Hill + Knowlton Strategies group MD Ben Curson is to join Instinctif Partners in the middle of April as a managing partner. Curson is currently on gardening leave from the WPP agency, where he led the financial and professional services team and also headed the internal communications, digital/studio, brand partnerships and content production offerings. At Instinctif (formerly College Group) he will be based in London and responsible for growing the corporate, professional and financial services offering across the UK and international markets. Curson is an addition to Instinctif’s team rather than a replacement, and he will take a place on the agency’s global corporate practice board. He will report to global corporate affairs managing partner Tim Fallon, who has previously worked at H+K with Curson. Fallon said: "I have known Ben for many years and have always been a huge admirer of his deep insight, experience and understanding of the challenges our clients are facing in the modern environment. 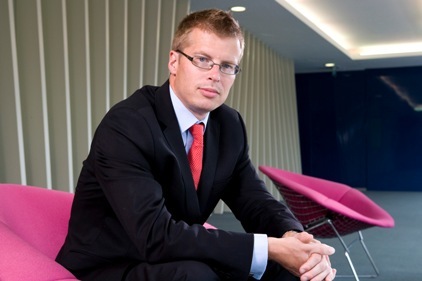 "His ability to provide strategic counsel at the highest levels, whilst delivering high quality, high impact corporate reputation programmes across national and international marketplaces is second to none." H+K’s UK CEO Richard Millar said that the agency’s financial and professional services team would now be led by directors Matt Battersby and Matt Bright but it may find a senior corporate specialist to complement the arrangement.